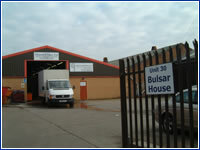 Bulsar Engineering is a family owned and run engineering company based in Coventry, West Midlands. Specialising in one off and low/medium volume batch production in materials ranging from mild steel through to Molybdenum and other exotic metals. In recent years our customer base has required us to specialise in machining stainless steels and plastic's such as Nylon and PTFE. At Bulsar, we strive to meet and exceed our customers' requirements.